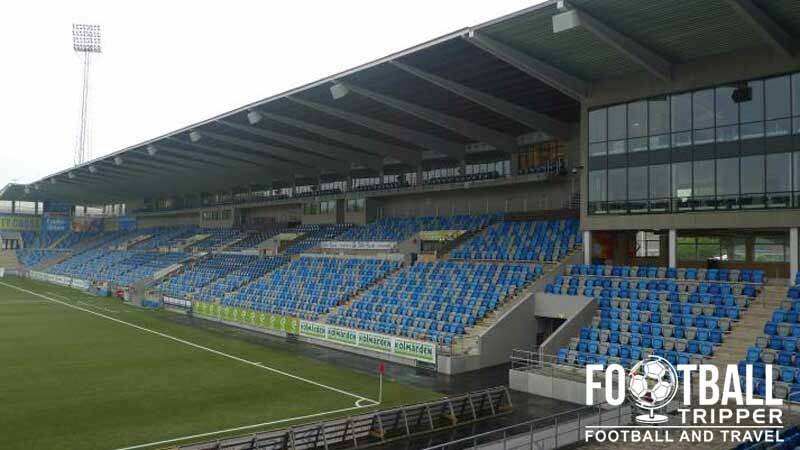 Norrköpings Idrottspark also known as Nya Parken is a multi-purpose stadium located in the southern Swedish city of Norrköping. 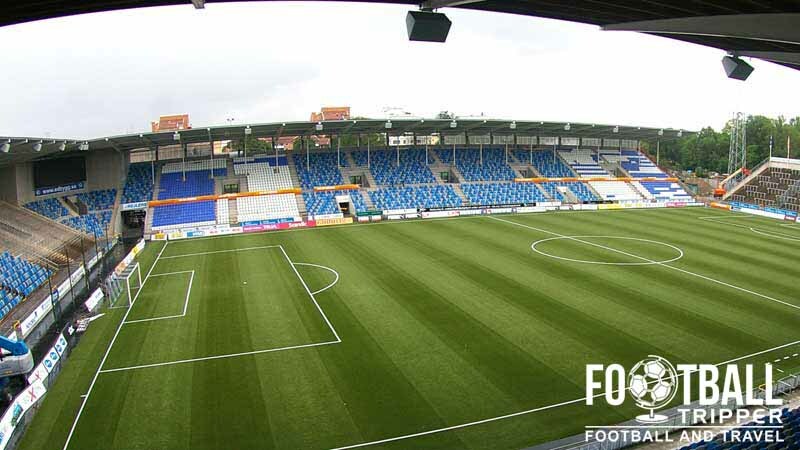 Used primarily for the football matches of Allsvenskan team IFK Norrköping, the 17,234 capacity ground dates back to 1903 with the most recent renovations occurring in 2009. Written history section to be added in due course. Idrottsparken in Norrköping is comprised of four stands: North, East, South and West. 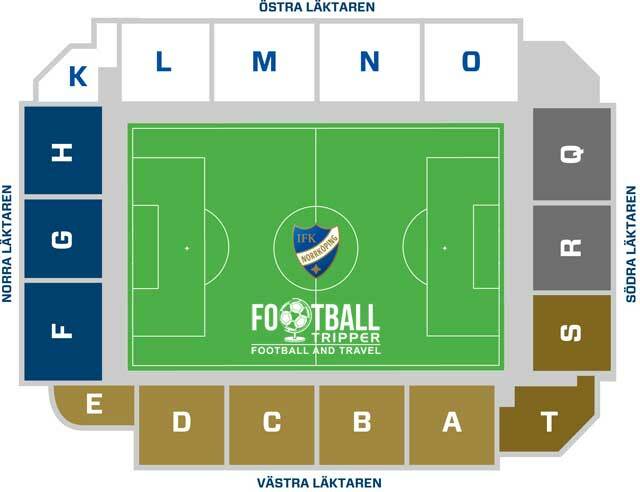 Away fans (Bortasupportrar) are housed within the greyed out sections R and Q as per the above seating plan with tickets costing 120 SEK. The visiting supporters can share this uncovered goal-end with the home supporters but more often than not have it to themselves. There are four IFK souvenir shops located more or less within every stand of Stadion Nya Parken. As they usually only open on matchdays you may wish to visit IFK Norrköping’s online store instead. It doesn’t appear as if guided tours are available of either the wider Idrottsparken or specifically Nya Parken Stadion. 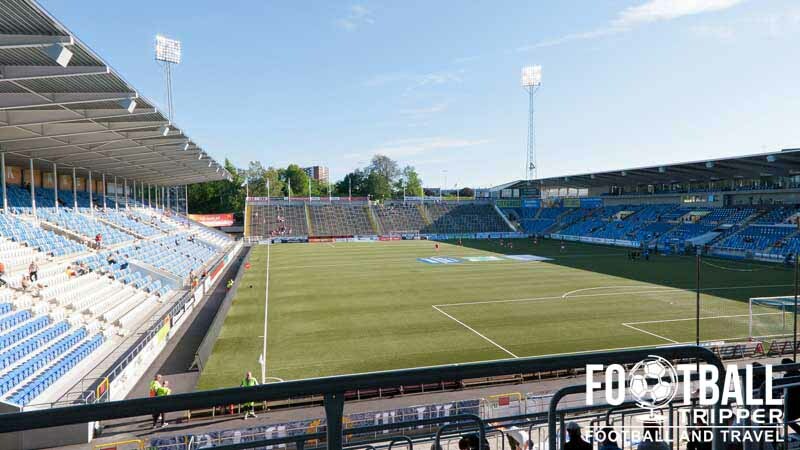 Tickets to see IFK Norrköping can either be purchased online from the official website or in person from the ticket offices around the stadium which open on matchdays a few hours before kick-off. Be advised that for Category 1 games against the highest-profile opposition ticket prices increase by 30 crowns. 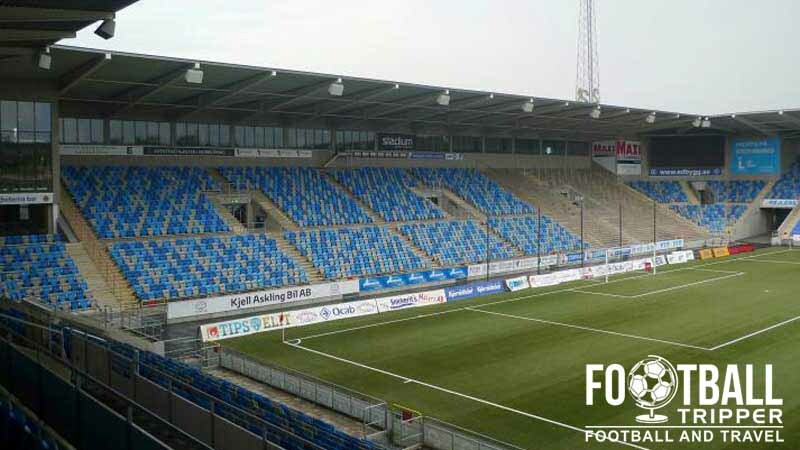 Nya Parken Stadium is located fairly centrally within Norrköping approximately 1.6 km west of the down town area. The walk from the city centre will likely take Football Trippers anywhere between 10-20 minutes depending on your starting point. There appears to be a few small parking areas at the stadium but nothing which suggests IFK Norrköping would actively encourage driving to the ground on matchday. Norrköping Centralstation forms part of the Southern Main Line which connects Katrineholm in the east to Malmö in the south-west. It’s just under 2.0 km from Nya Parken football stadium. Another look at the exterior of the football ground within Idrottsparken. You can catch tram 3 to the stops at either Väster Tull or Strömbacken which are both within a five minute walking distance of the ground. Alternatively you could catch bus services to both of these stops such as the number 115 and 119 from central. Norrköping Airport 5 km to the east of the city centre has a number of domestic and a limited number international flights each day. Upon landing you can catch a coach service into the city within 10-15 minutes. Whilst there a few accommodation options west of the stadium you can find similar value back within the city centre where the location is much better. Three well priced places to stay which are three stars appear to be the Best Western Princess Hotel, Hotell Drott and Hotel Centric.